Foxx & Willow offers a wide range of handmade on-trend toys, decor & accessories for babies & children. Their products can be personalised and customised to suit your needs. 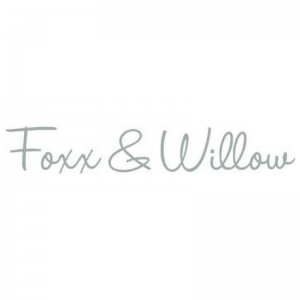 Foxx & Willow products are simple, stylish and Scandinavian-inspired. Their teethers and play gym toys are made from both naturally antibacterial beech wood and food grade silicone. This is a delightful online store to purchase toys and accessories for your 0-12 month old that will definitely be well-loved and well-used. Teethers are around $25. Play gyms are approximately $80. Shipping costs are calculated based on weight at check out but prices start from $8.50. A variety of postal services are used to keep prices affordable but Australia Post is the preferred delivery method. No certifications. Products are handmade using naturally antibacterial beech wood, the highest non-toxic food-grade silicon that is free from BPA, Lead, Phthalates, Cadmium PVC & Latex. All products are made to order. Products can be customised.